The Ford vehicle lineup is filled with classics like the Mustang and F-150. 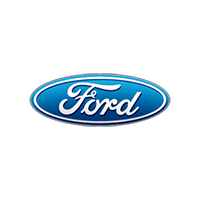 Cars that have been around for years, proving they uphold the reliability and performance Ford promotes, have shaped the company’s brand. 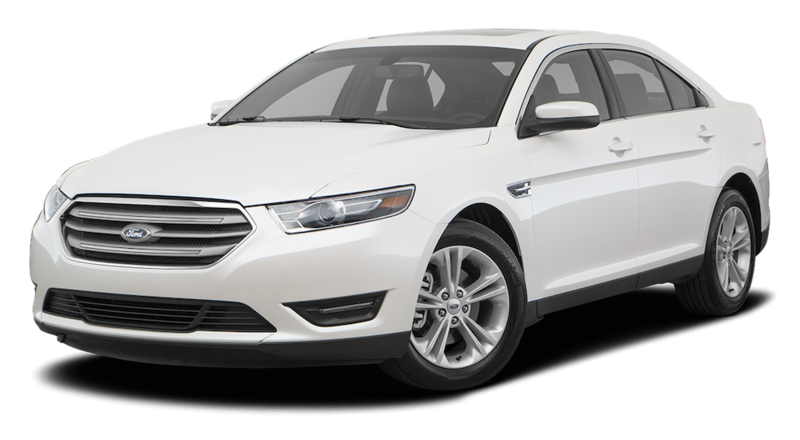 One car that does not receive as much attention but still claims this title of an influencer in the lineup is the Ford Taurus. Since 1986, the Taurus has served as a reliable family car for millions. The 2018 Ford Taurus is no exception to this history. The car is perfect for any individual or family wanting a vehicle that excels at the daily commute around town. When drastic speed or off-roading capabilities aren’t necessary, the Taurus provides a comfortable, safe ride many people seek every day on the roads. This model year’s specs reflect this: 24-27 highway MPG, 288-365 horsepower, and both forward and all-wheel drivetrain options. The current generation started in 2010 as a major, long overdue update to a successful design that really picked up speed in the 90s. These days, the trim lineup of the current generation highlights Ford’s approach of giving customers different options to customize their preferred car. The basic trims include the SE, starting at $27,345, and go up with the SEL and Limited trims. For sports enthusiasts, there is also the performance-oriented SHO trim with an upgraded engine and performance features. Most of the features for the 2018 Taurus are focused on increasing general comfort, usability, or safety while operating the vehicle. The feature set is a mixture of intelligent safety systems, an updated infotainment system found in all Ford vehicles, and random creature comforts in the interior that make the driver and passengers more comfortable when it matters the most for long rides. Safety features include the standard set of front and side airbags in the front passenger and driver positions. In combination with strategically placed crumple zones, the airbags give the 2018 Ford Taurus a five-star overall crash test rating according to the National Highway Traffic Safety Administration. These basic safety systems provide a solid chassis and platform to prevent serious injury during major accidents and collisions. The Taurus, however, also provides plenty of systems to prevent an accident in the first place. Standard intelligent safety systems include Ford’s MyKey which limits speed and audio volume settings for beginning drivers and a backup camera. Optional systems include an adaptive cruise control and blind spot monitoring system. In the challenging environment of a parking lot, the Taurus sports optional parking sensors to notify the driver of any vehicles hiding in blind spots or behind other parked vehicles as well. Together, these systems extend the driver’s awareness to increase reaction times in the event of a potential collision. For interior creature comforts, the convenience features start with the SYNC 3 infotainment system that is compatible with Apple CarPlay, Android Auto, or Siri Eyes Free. With a Bluetooth connection, occupants can sync up a smart device for hands-free operation. Other optional features include a dual-zone automatic climate control, navigation, upgraded audio system with 12 speakers, and a moonroof. The potential to upgrade comes primarily in the form of the different trims. For example, the SEL and Limited trims offer leather-wrapped steering and an upgraded eight-inch infotainment screen along with 20in wheels and sunroof. The Limited also comes with leather heated seating, keyless ignition, and wood trim accents. For those wanting it all, the SHO comes fully loaded with most of the convenience and safety features coming as standard. The overall look of the 2018 Ford Taurus has remained unchanged for the past couple of years. As a family car, the design is subtle enough to blend into the common style of sedans on the road today. At the same time, the design makes it stand out just enough to know you do in fact have a Ford Taurus in your driveway. The exterior has a long and narrow profile common with most family sedans. Overall length is 202.9 inches with a wheelbase of 112.9 inches. The car uses a traditional sedan layout with four spacious doors along the sides and a rear lid with a dedicated trunk section for minor cargo hauling. One highlight of the vehicle is a large amount of cargo space in the truck area. In total, you can expect 20 cubic feet of space to move any small or medium-sized item around. The interior provides plenty of highlights to create a comfortable ride for long or short trips alike. With the capacity of up to five people, the interior seats are made of a durable cloth that resists dirt and staining over time. The central LCD panel between the driver and front passenger offers access to the car’s infotainment system and settings controls such as the radio and optional navigation. The general theme of the 2018 Ford Taurus is providing average but reliable performance under the hood. This model certainly is not a roadster or heavy, hauling truck, but its design is meant to make it easy to get around town while maximizing some of the fuel efficiency. With both forward and all-wheel drivetrain options, as well, customers can find the specs that will provide the driving experience they want from the Taurus. The base powerplant is a 3.5L V6 Regular Unleaded engine that will provide a good amount of performance without sacrificing fuel economy on the road. The engine is capable of producing a maximum of 288 horsepower and 254 pound-feet of torque. The estimated fuel rating for this powerplant is 18 city MPG and 27 highway MPG with a fuel tank capacity of around 19 gallons. Sometimes, the baseline engine just is not enough to satisfy the need for speed and torque people want from their vehicles, regardless of the model. Recognizing this, Ford offers a performance option with the SHO trim. This powerplant is a 3.5L Twin Turbo Premium Unleaded engine. With a maximum of 350 horsepower and 365 pound-feet of torque, this engine can accelerate the car more quickly if the driver needs some extra G-forces. The drivetrain options are designed to favor performance or traction/control depending on the needs of the customer and typical driving conditions. Maximizing fuel performance will require the forward wheel drivetrain. If the driving conditions are typically worse, filled with rain or snow, for example, the all-wheel drivetrain will provide more traction in combination with Ford’s intelligent traction control. Where can you go for quality service mixed with an inventory of competitively priced, great vehicles? 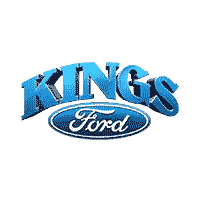 Kings Ford is a place where we embrace the virtues of good business: excellent products and service no matter what. When we work with our customers, we go all out to make sure every need is met, every question is answered, and every person leaves our lot with a smile on their face. More importantly, we also make sure the vehicle they purchase is in top, prime condition. That is why we have a great service department capable of helping with inspections, repairs, financing and more. In other words, we do more than just sell great cars. We make the whole experience of buying a new vehicle headache-free. Come visit us today.